Never has a vaping device been so simple as the Vgod Stig. Affordable price only about $7 per unit. In this year, pod system kit is playing a leading role in the ecig market. 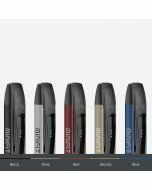 As Phix and MT get fiercely popular among the vapers, various brands become to attach more importance to the field of pod system kit, attempting to share a market rate under the heat. 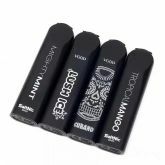 Today I want to share the Vgod Stig Disposable Kit with you. 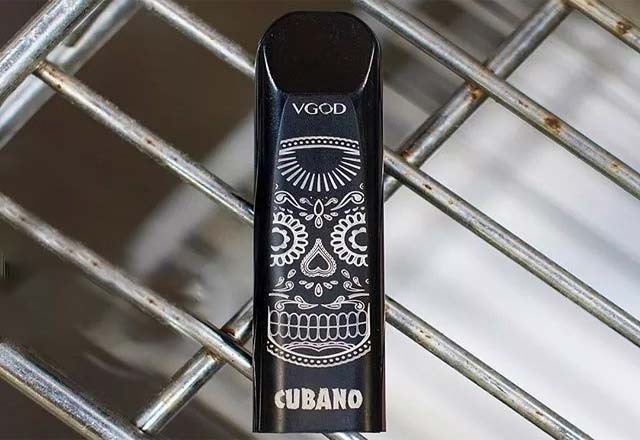 It is jointly released by Vgod and Stig. In the tide of small-sized kits, what vapers are chasing for is “ smaller, simpler and better satisfying nicotine addiction. ”Stig is only as small as a lighter whose weight is negligible. It doesn’t need refilling or charging. What you only need to do with it is vaping. Yes, Stig is a disposable device. The battery life and e-liquid capacity can support 300 puffs vaping, which is enough for a whole day. The original e-liquid contains 6% nicotine, which is enough to satisfy a heavy smoker. The coil of Stig is not as good as ceramic coils in performance, but the delicateness of the vapor and flavor is at a top level. And the hit throat feeling brought by nic-salt is very smooth without over-irritation. Even though its coil is very ordinary, Vgod Stig can still outperform many ceramic-coil pod system kits in the market. The e-liquid is from SaltNic brand. MTL vaping is suggested with the Stig. After trying all the four flavors, I think the taste and flavor of them are perfect. It is absolutely a good device to help you quit smoking. Mighty Mint: The taste is somewhat like that of the Ice Blast of Marbolo. The fresh menthol flavor is refreshing and the throat hitting feeling is strong. One puff of Mighty Mint will cheer you up! Tropical Mango: The taste is sweet and ripe with very high originality. The Stig Kit is small, but it delivers full vapor with this flavor. The smooth throat hitting feeling brings you sweet and refreshing sensation. Cubano: The taste is delicate with the mixture flavor of nuts and cheese. Its perfect smooth throat hitting feeling can satisfy all your desire for tobacco. Lush Ice: It is a mixture taste of fresh sweet watermelon and cool menthol. Its throat hitting feeling is full and the flavor is refreshing. You will love it at the first puff. With the concept of integration, a Vgod Stig Kit at your first purchase will only cost you the amount of money that you pay for a cartridge of other pod kits. As you know, nearly all the pod system kits in the market needs to be powered with a separate battery part. Even though those like product in the market are tending to be sold at cheaper and cheaper price, they still cost a lot more than Vgod Stig at first purchase. This we can see the third strength of Stig: economical. Its unit retailing price is only about 7 dollar, which, from a macro-perspective, has decreased the first-try cost to a brand new level. In addition to the price competition between various online shops, this strength of Stig will be more shocking. 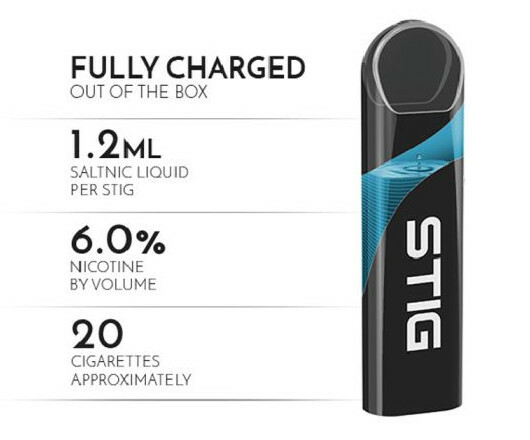 The battery capacity of Stig is 260mah. A number of vapers are doubting whether such low a battery capacity can support the consumption of 1.2ml e-liquid. In fact, every product before production will be tested multiple times. All aspects including modelling, material, internal structure and others will be examined. 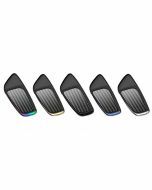 Moreover, most of the pod cartridges features output from 6-8W. 260mah battery capacity is completely enough to support the consumption of 1.2ml e-liquid. I have done some tests with my friends. We found that, when you vape with short intervals, its e-liquid capacity can support you for a whole day. According to the habit of an average vaper, it’s totally OK to support vaping for two to three days. But I still want to tell you guys, it’s stupid to test battery duration time and coil burn-resistance by vaping every second or vaping 500 puffs every minute. 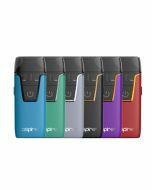 I guess many later-coming pod kits will follow the Vgod Stig thus form a tendency. 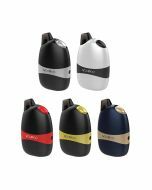 With more and more Vgod-Stig-like pod system kits emerging in the market in the near future, their prices will be much cheaper. Vgod Stig is a must for many lazy vapers. Never has a vaping device been so simple as the Vgod Stig.